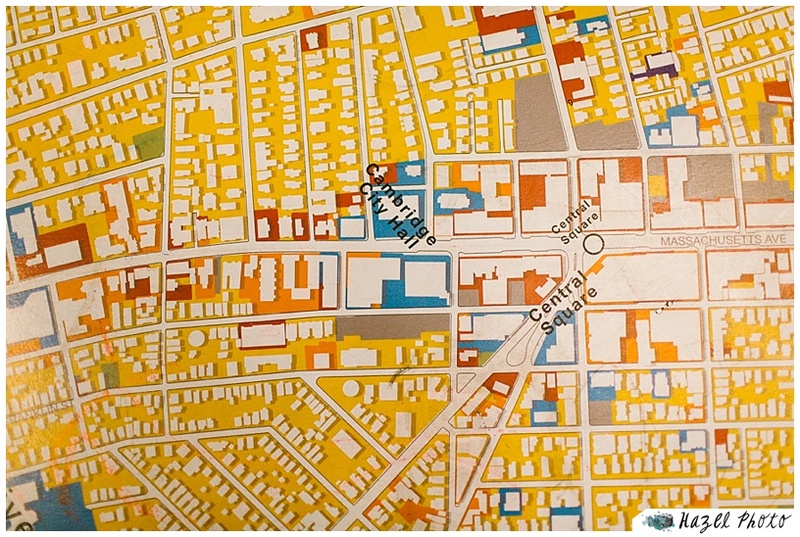 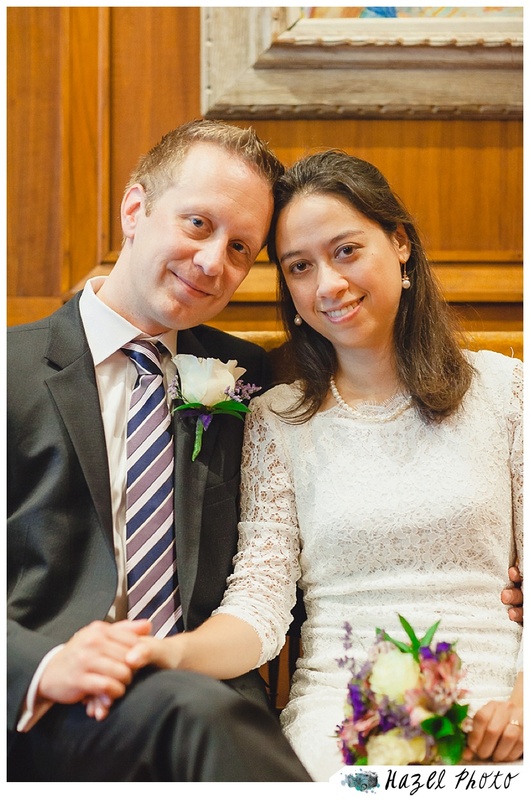 Brenda & Philipp met at MIT when Philipp was doing a postdoc and Brenda was in a grad program. 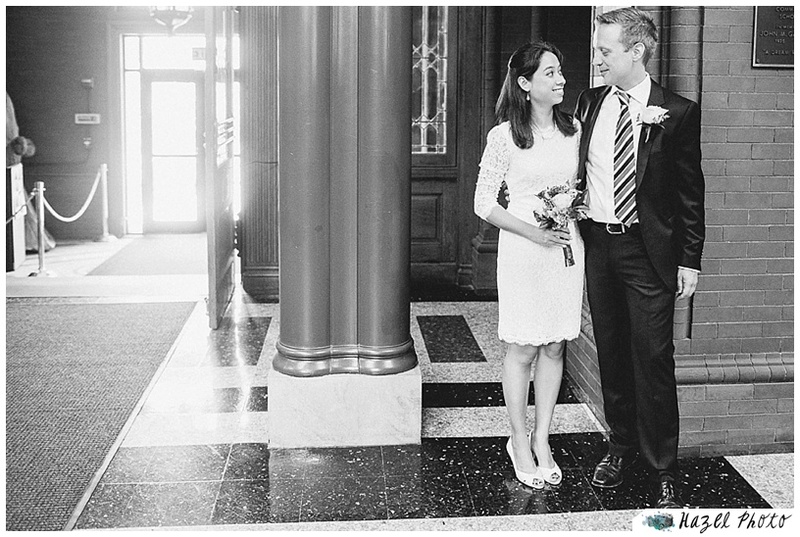 They were easy going, and fun to work with. 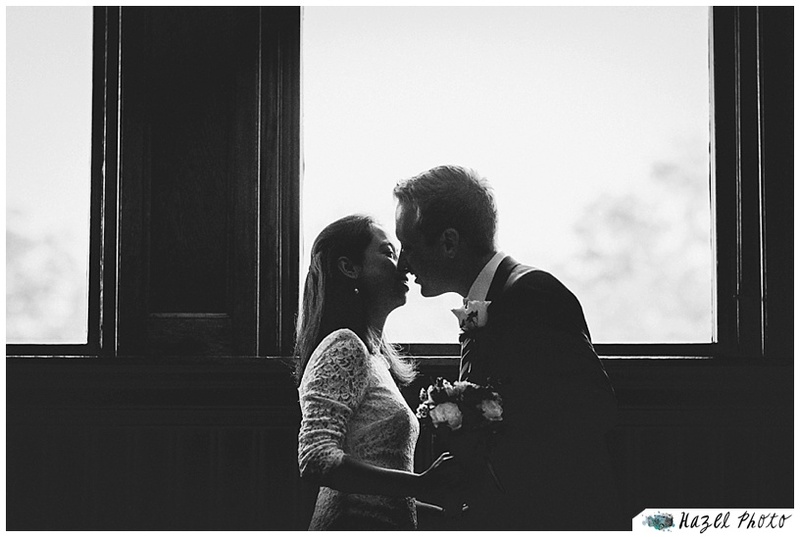 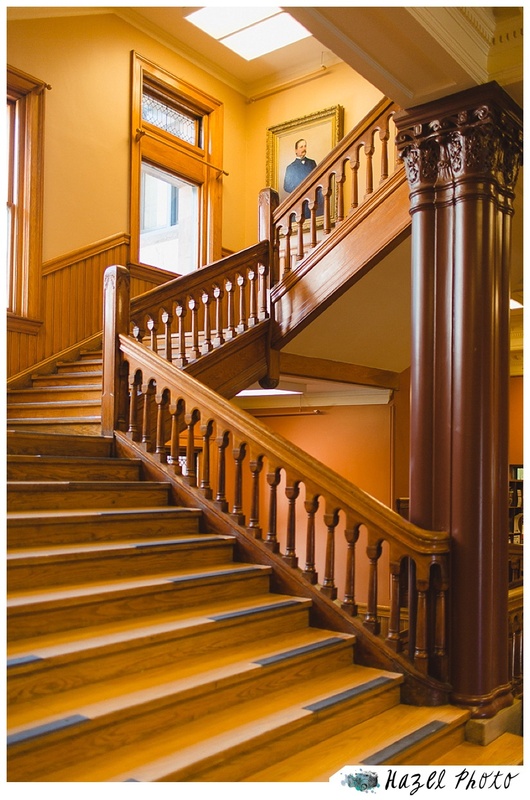 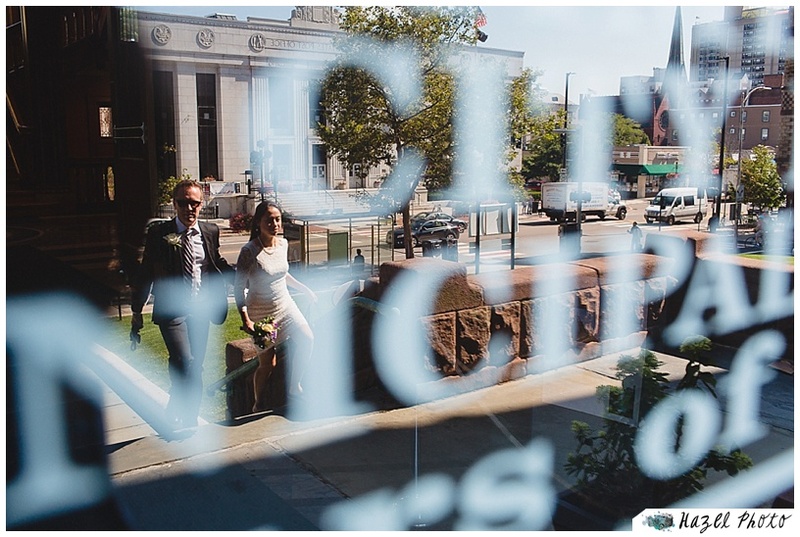 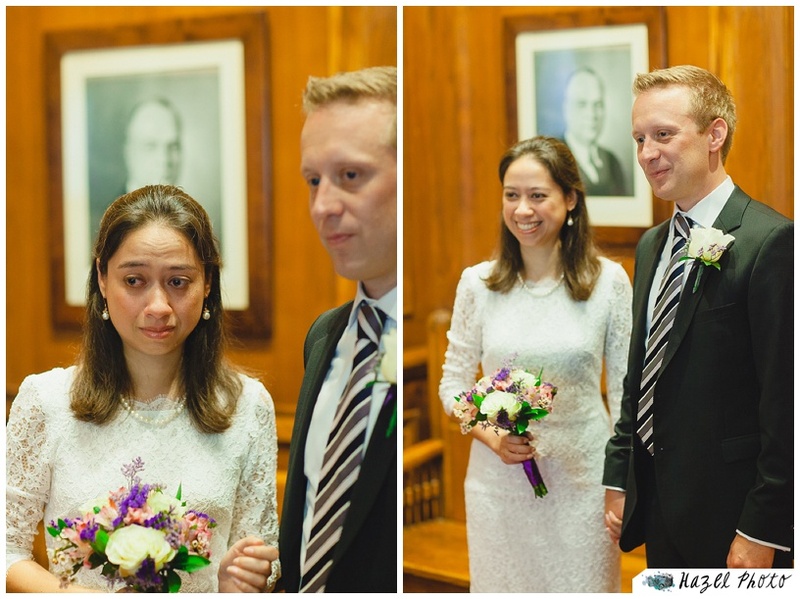 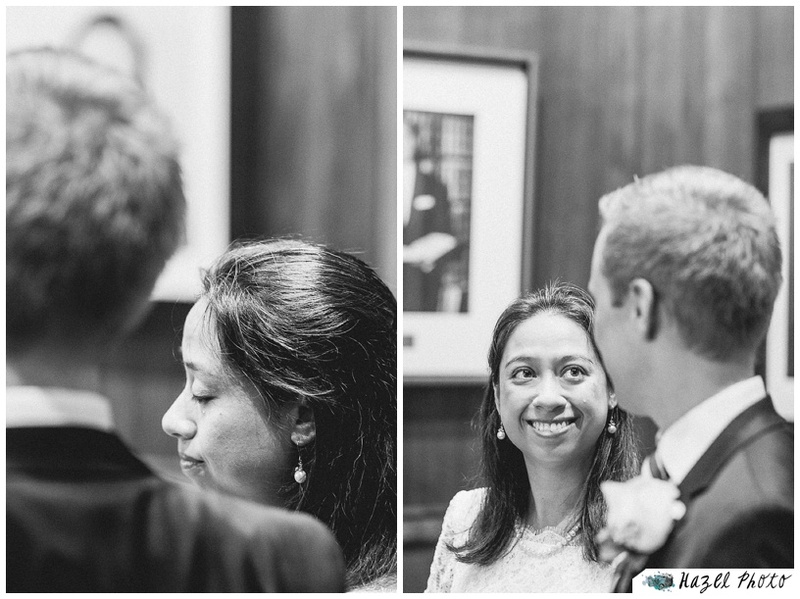 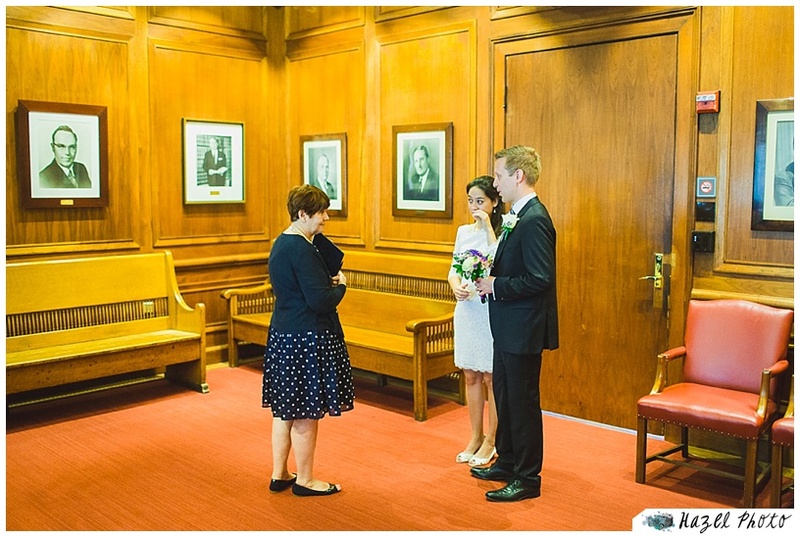 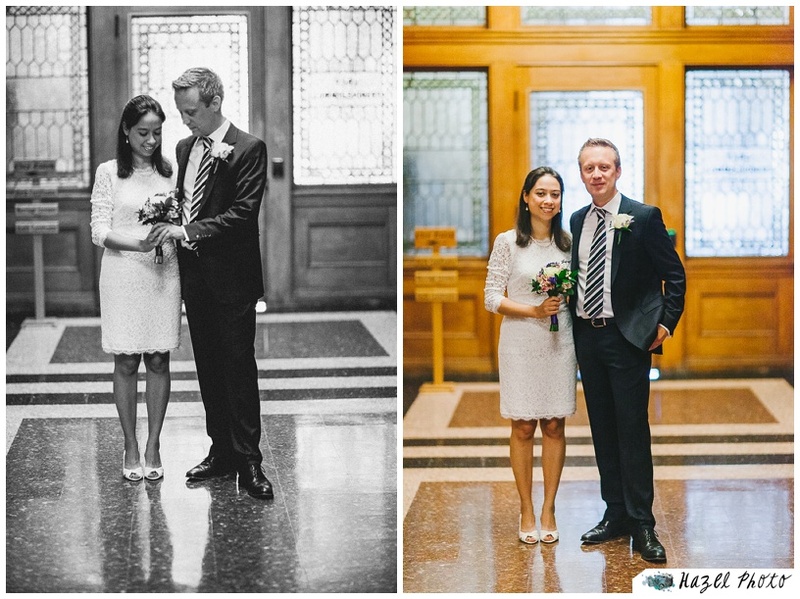 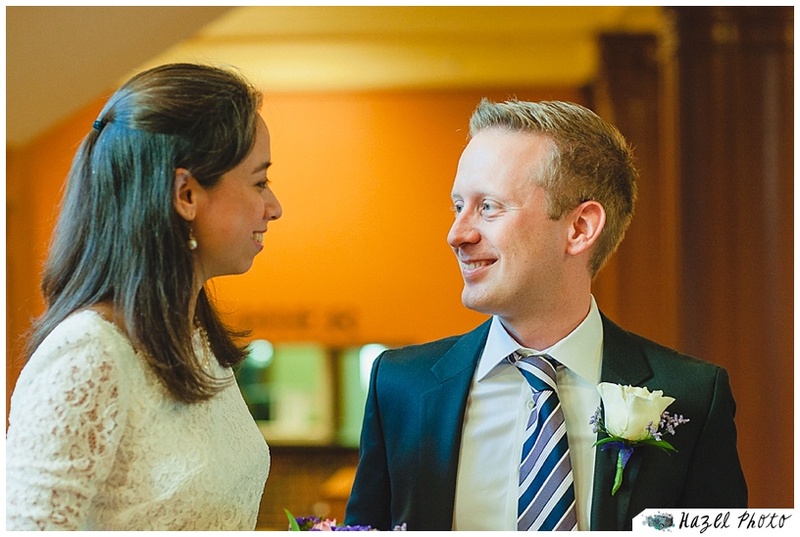 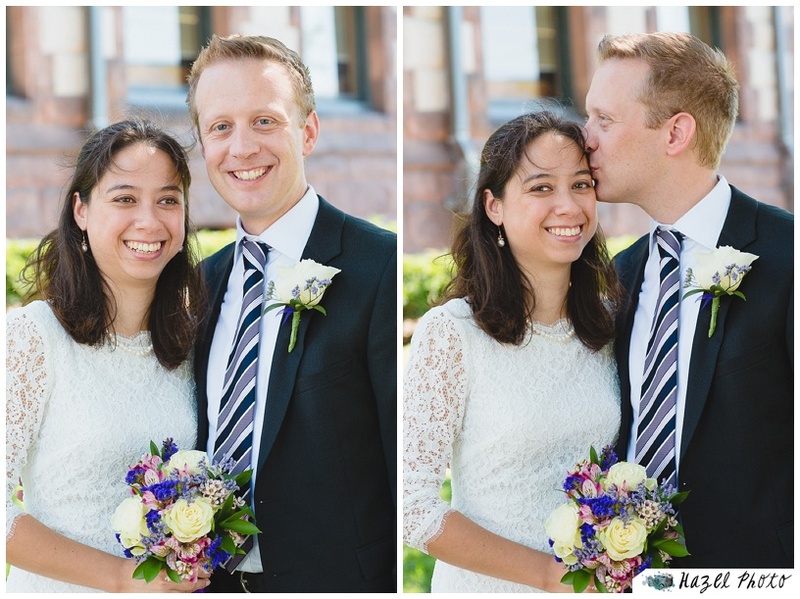 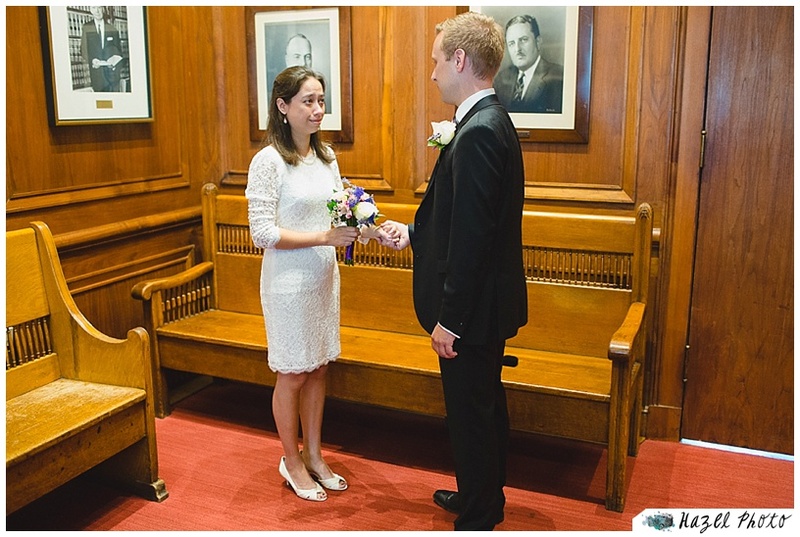 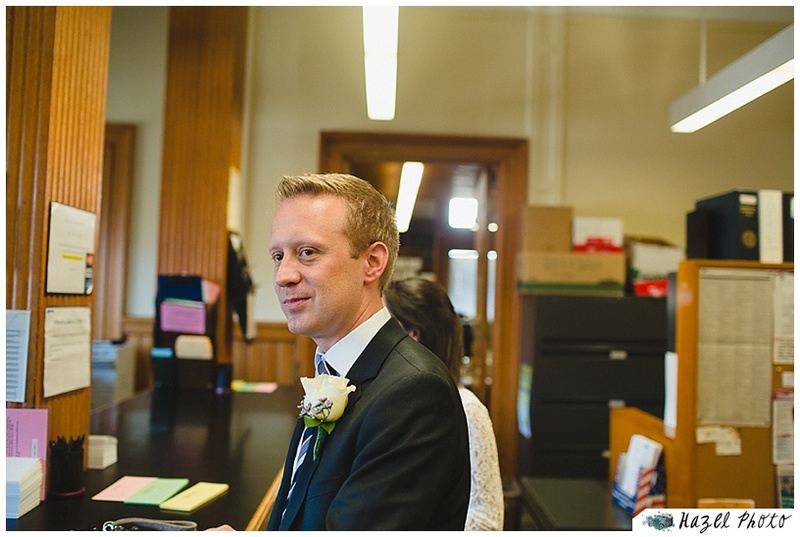 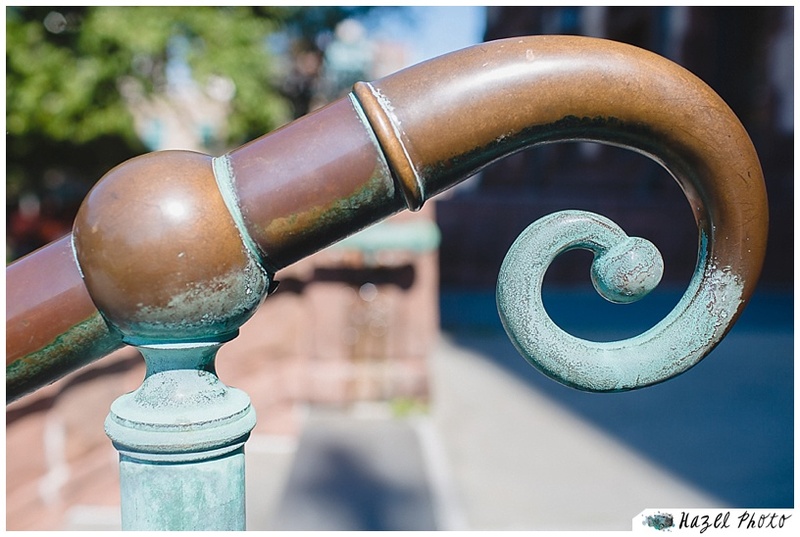 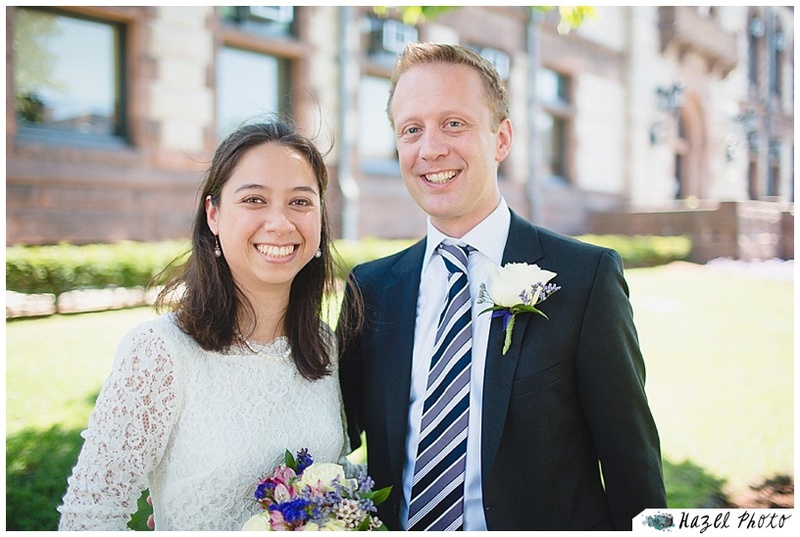 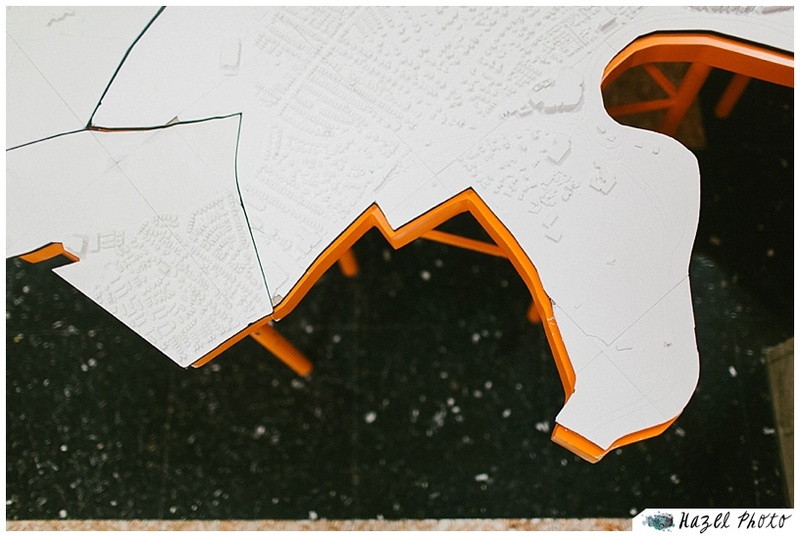 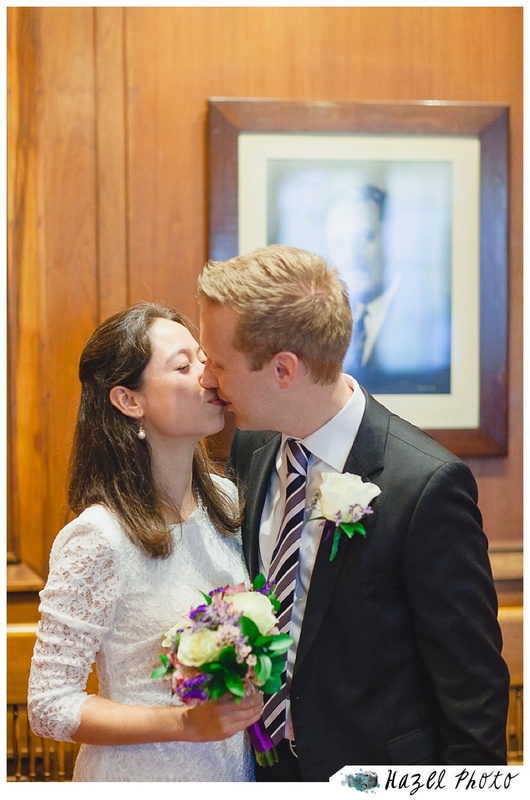 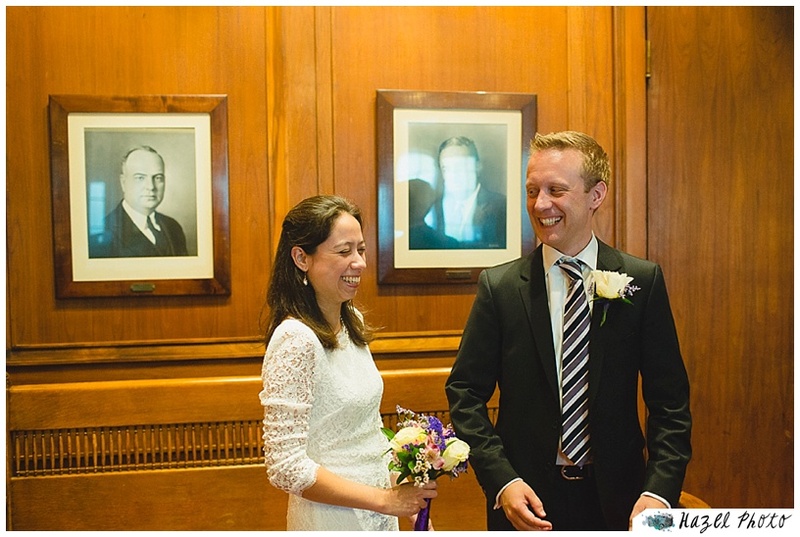 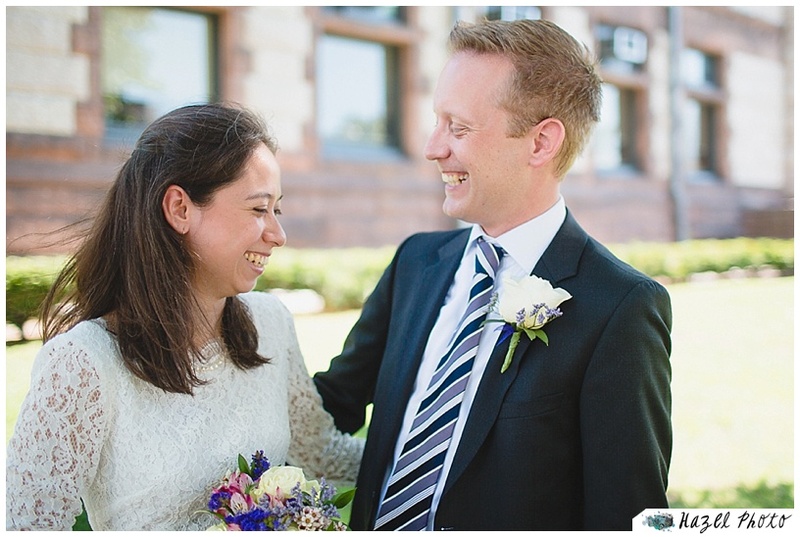 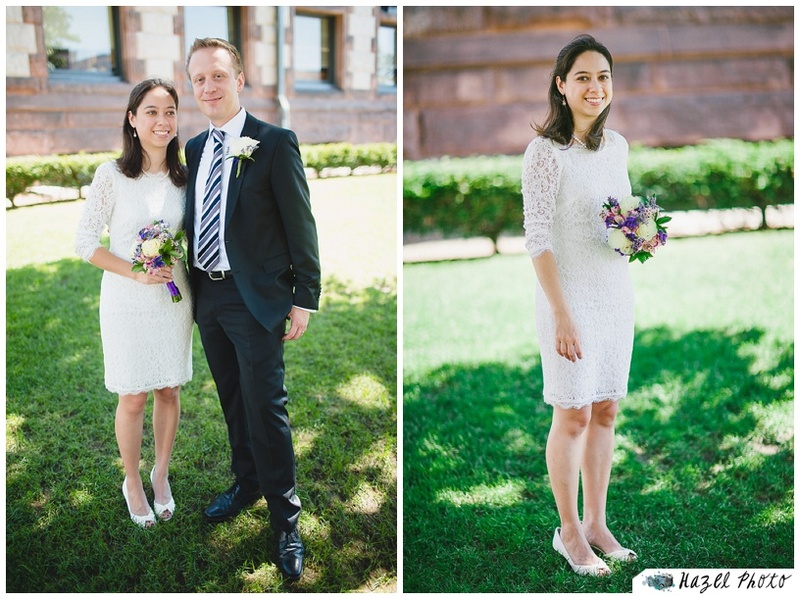 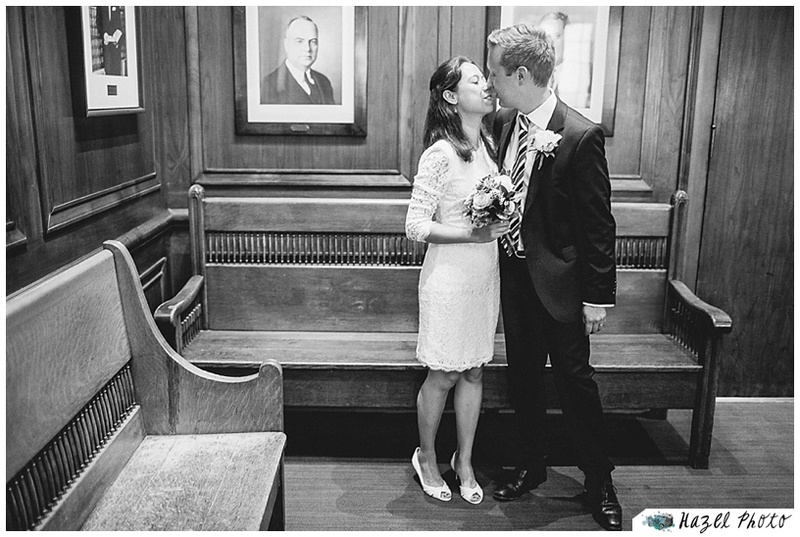 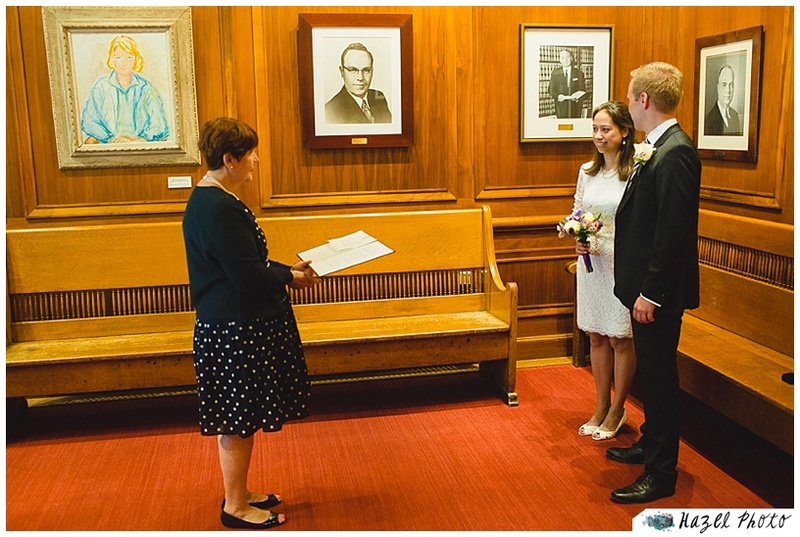 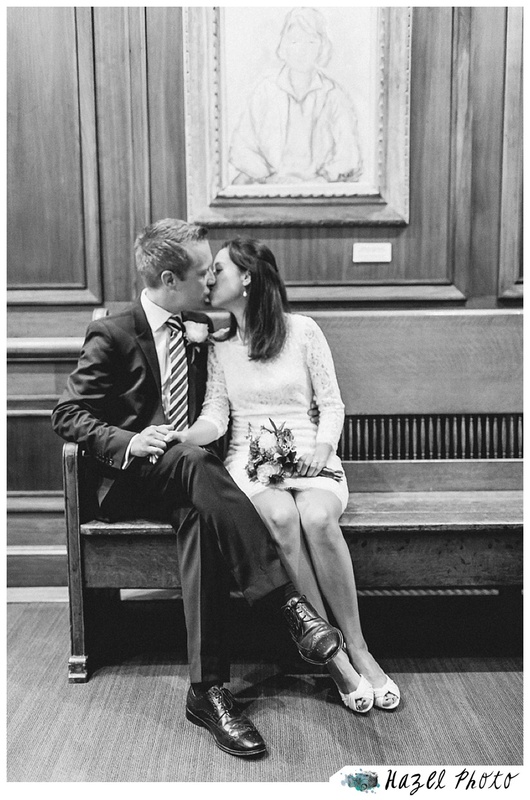 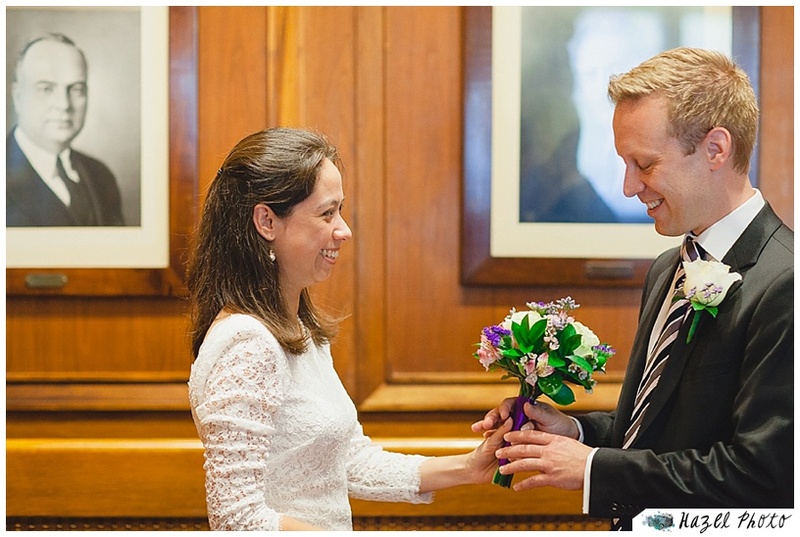 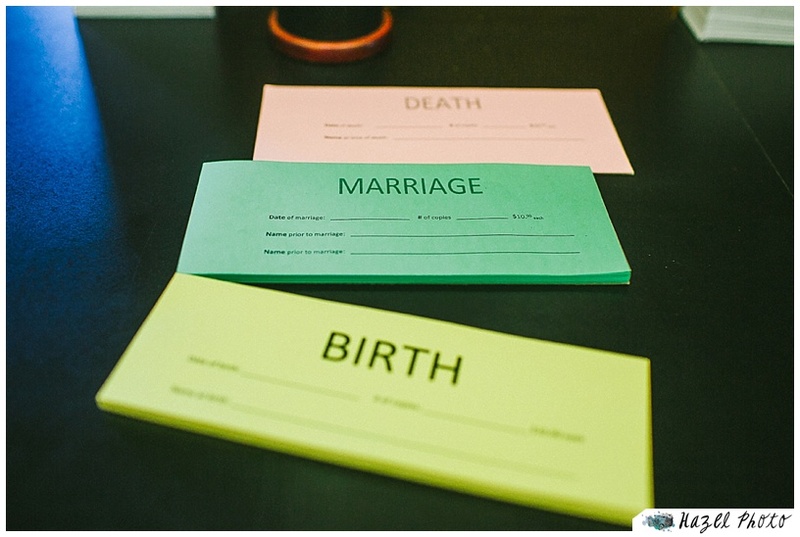 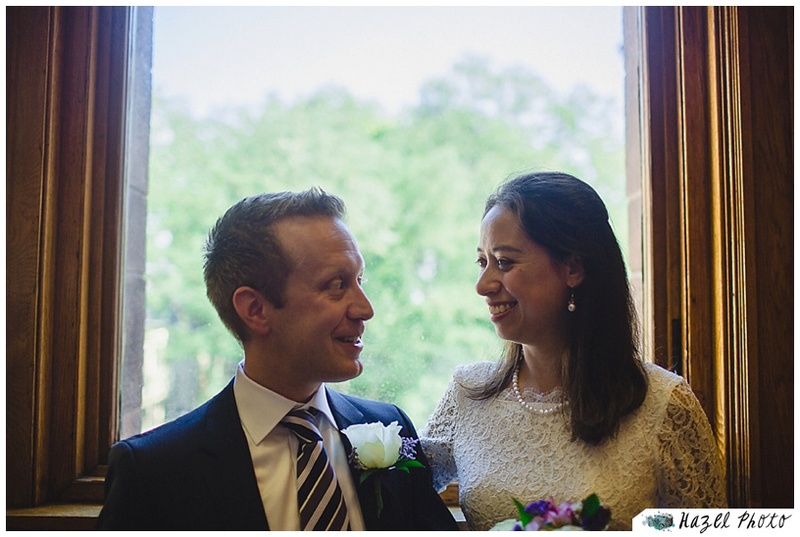 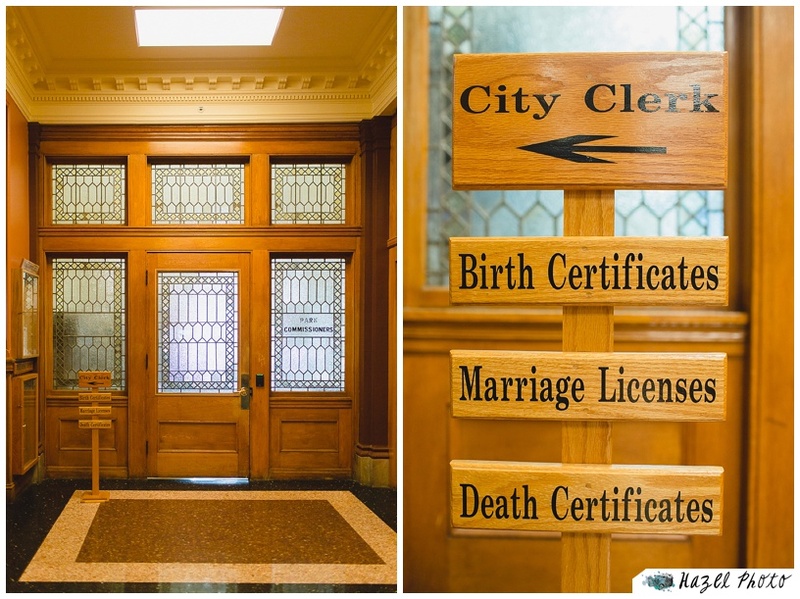 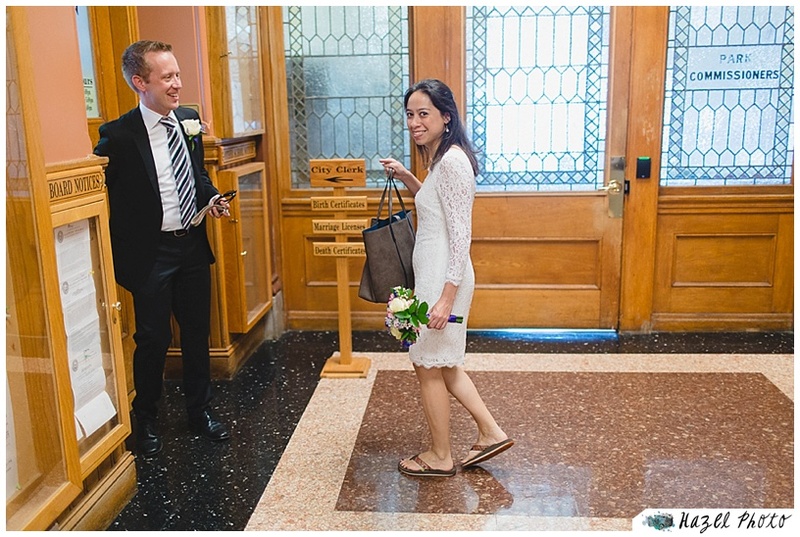 I enjoyed exploring Cambridge City Hall before and after the wedding ceremony. 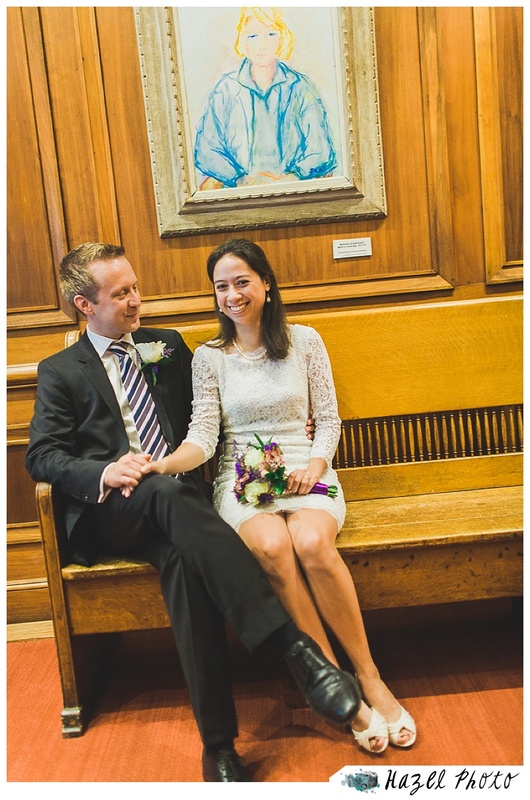 The wedding was in a chamber on the second floor with portraits of old white men on the dark wooden paneled walls, and one jaunty color portrait of a blonde woman in a blue jacket. 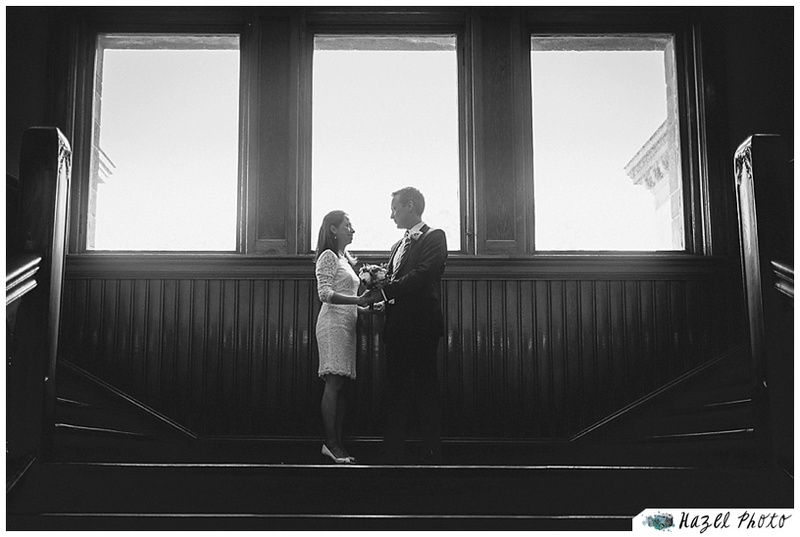 We used the light from the big windows halfway up the stairs to great effect. 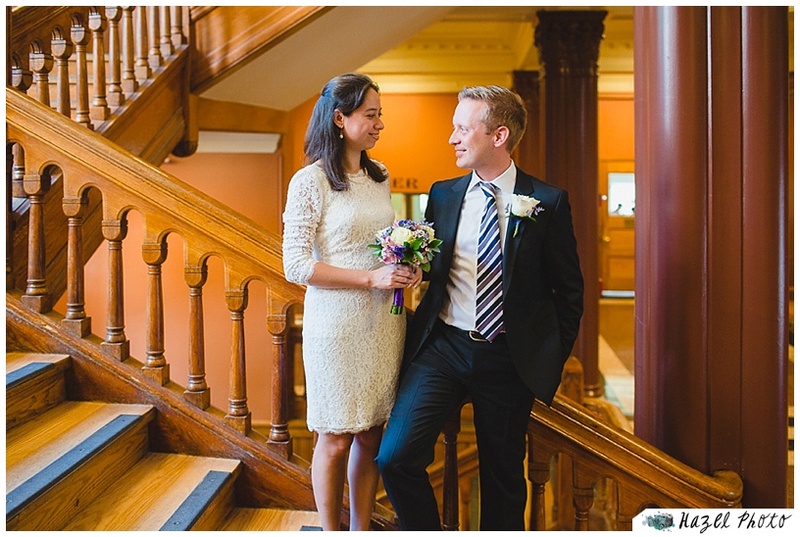 My favorite part about a Cambridge City Hall wedding is how people use the front lawn as a park. 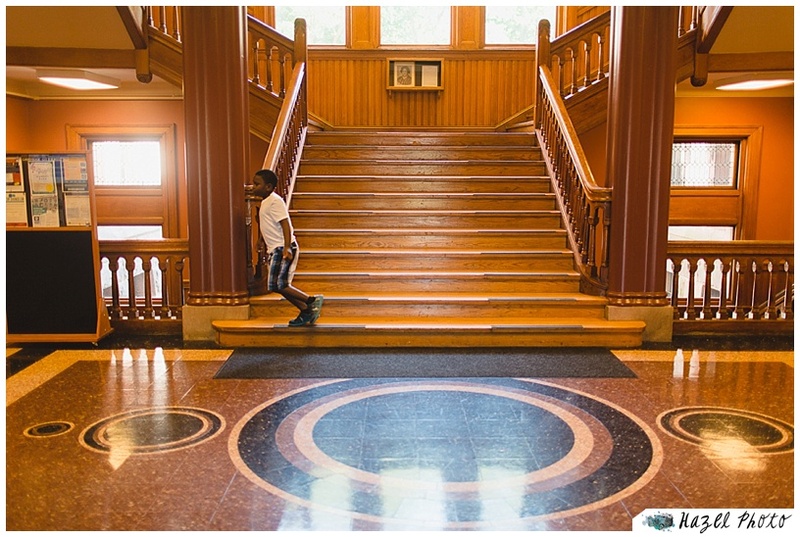 It was early on a hot August day, so the lawn was empty. 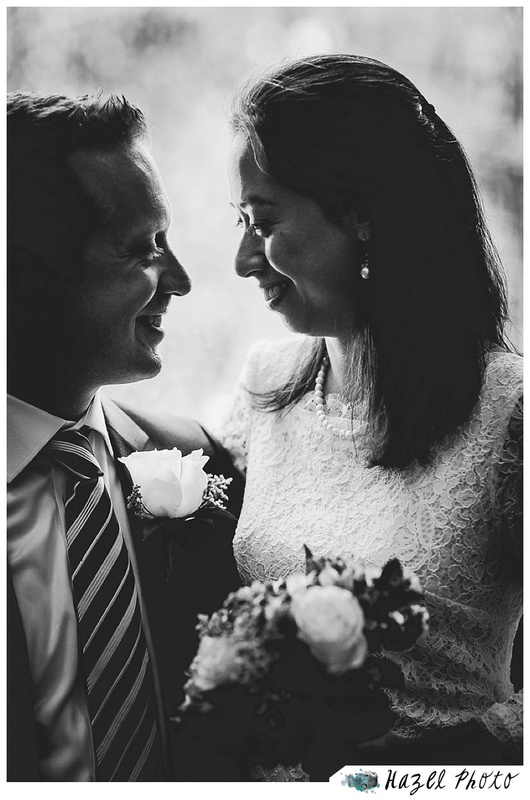 But we did find the only shade under a beautiful tree and we laughed.